It is rare in August that so many thunders storms move through the Stanley Basin. This month has been exceptional, one after the other unforgettable columns of atmosphere towering into the sky. 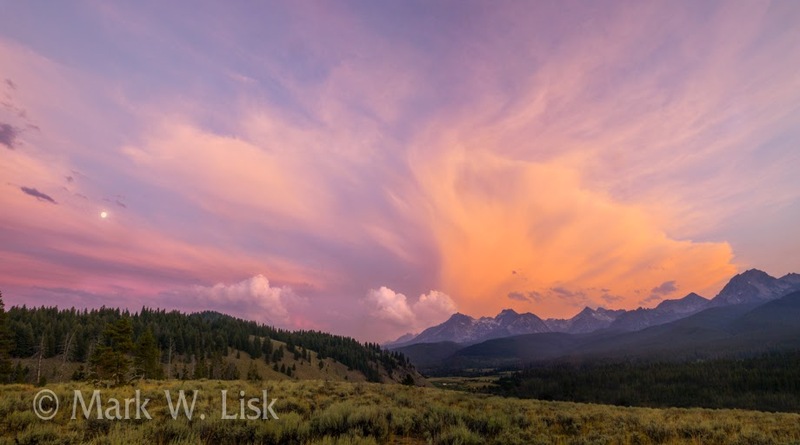 Massive clouds dance over the peaks of the Sawtooth Range and fill your spirit. A dance of serenity rolling through a storyline that can never to be repeated. The Stanley Basin is a thread of Beauty. A place to watch clouds, touch river and streams, and to capture moments of time in a photograph.This place constantly amazes me. 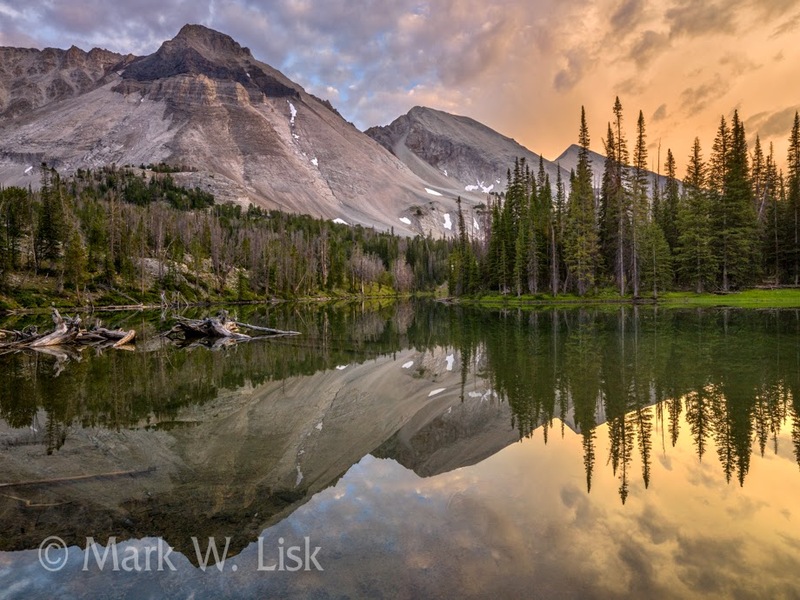 The Basin is surrounded by the White Cloud, the Boulder and Sawtooth Mountain Ranges, and many of the spectacular peaks are over 10,000 feet. The White Clouds were given their name by early settlers because many of these skyward soaring pale peaks seem to blend together with the clouds above, making it hard to tell where mountains stop and clouds begin. I have always wanted to "turn the corner". 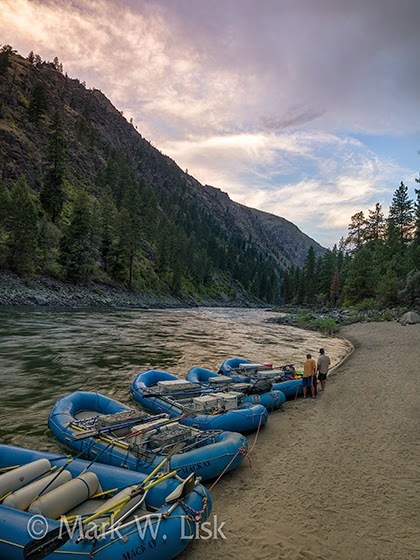 A term white water rafters refer to as running the Middle Fork to the confluence of the Main Salmon then continuing on to through the wilderness section. This season I was fortunate enough to have that opportunity, and was able to photograph 200 plus river miles on one of North America's most famous rivers. The Salmon is also known as The River of No Return. 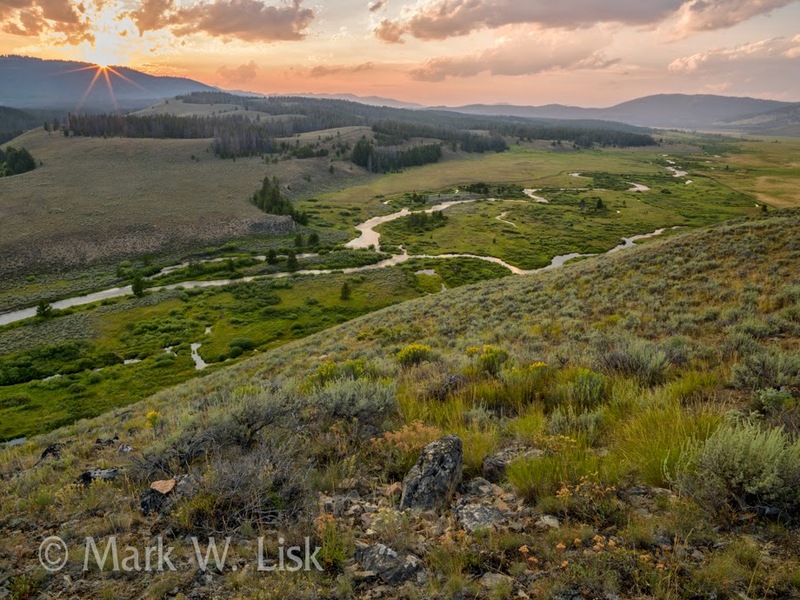 It flows for 425 miles through central Idaho, draining a rugged, thinly populated watershed of 14,000 square miles and dropping more than 7,000 feet between its headwaters, near Galena Summit above the Sawtooth Valley in the Sawtooth National Recreation Area, and its confluence with the Snake River. 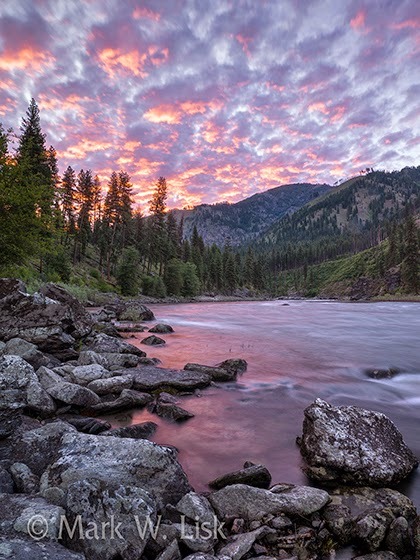 It is the longest free-flowing river in the lower 48 states. From elevations above 8,000 feet, the Salmon cascades to an elevation of 905 feet before it joins the Snake River in Hells Canyon, near the Idaho/Oregon border. Main Salmon River near Campbell's Ferry. Tumble Creek on the Middle Fork of the Salmon River. The Salmon flows through a vast wilderness, as well as the second-deepest gorge on the continent. Only Hells Canyon in the Snake River is deeper. The Salmon's granite-walled canyon is over 1,000 feet deeper than the Grand Canyon. 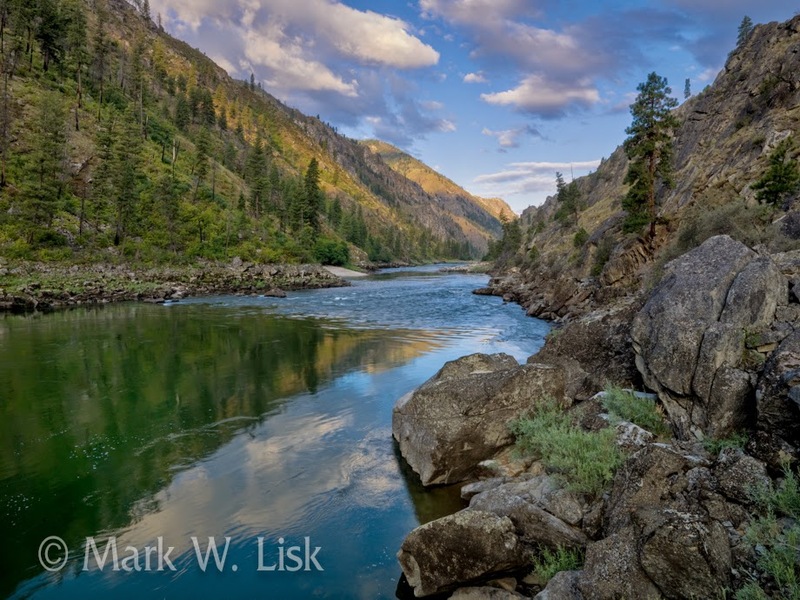 For approximately 180 miles, the Salmon River canyon is more than a mile deep. 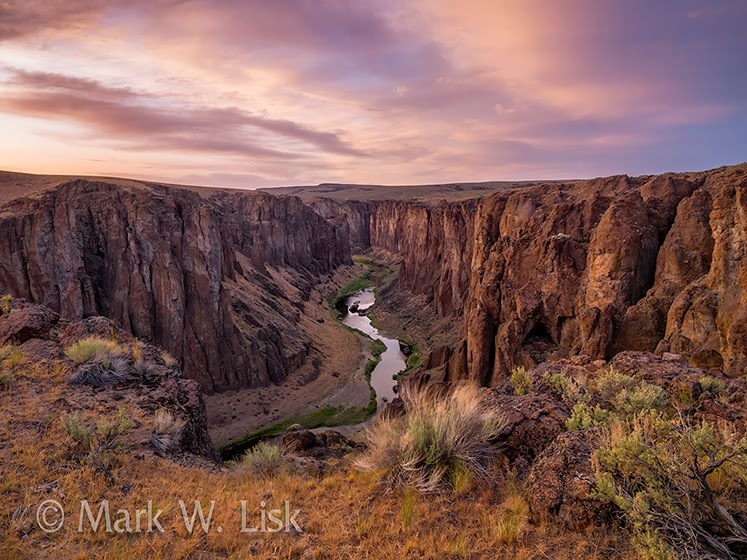 To view more images of the Salmon River visit my web site : www.markliskphotography.com and search using the key word "Salmon River"
There is no place in the Owyhee Canyonlands that has the dynamic rock formations of the Wilson Creek area. 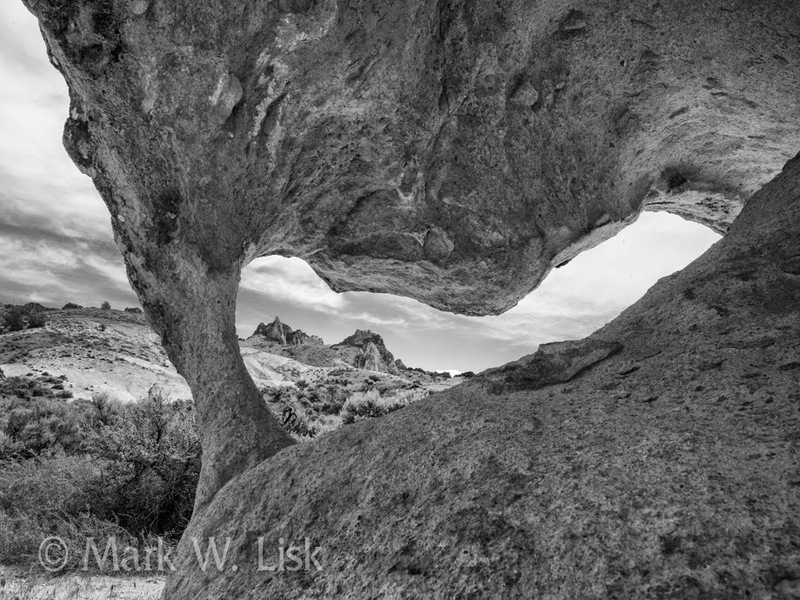 I have spent years exploring and photographing the Owyhee Canyonlands and this is the only area that I have found with these Unique stacked cathedral formations. 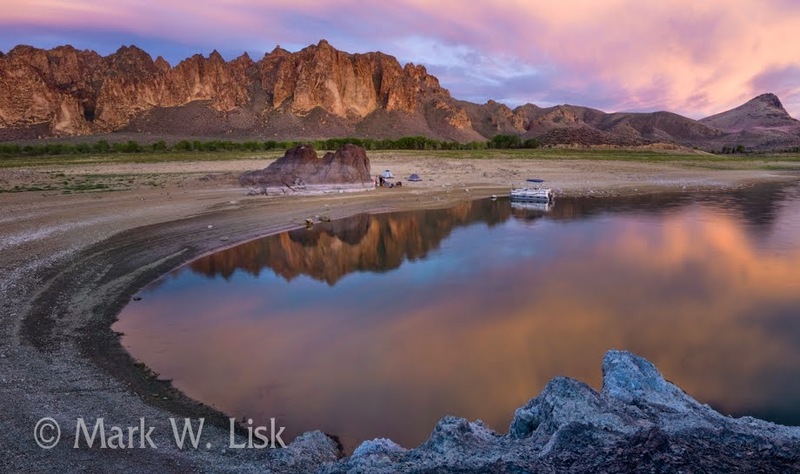 The Wilson Creek Travel Management Area is a 28,000 acre area of mostly public lands located in the Owyhee Front, about 10 miles south of Marsing. Idaho. The northernmost portion of the subregion lies along Highway 78, near the Snake River. The project area runs approximately from Highway 78 south The Wilson Creek subregion is portion of the larger (261,487-acre) Owyhee Front Special Recreation Management Area (SRMA) that was designated as “Limited to Designated Roads and Trails” in the 1999 Owyhee Resource Management Plan. Established trails in the Owyhee Canyonlands are hard to come by. 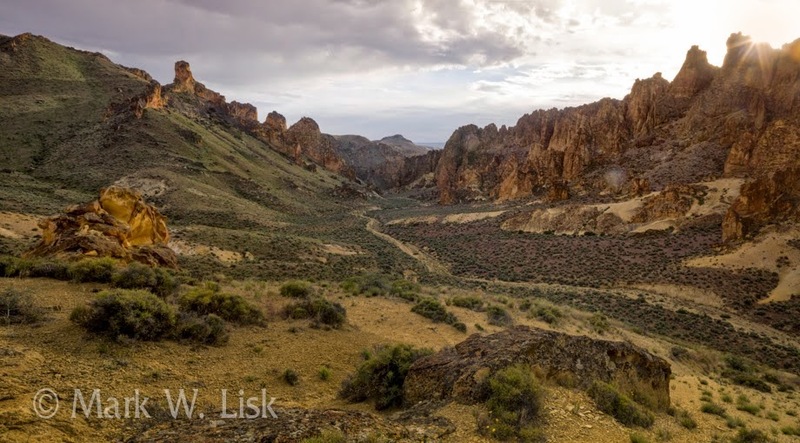 Most of the hiking in the Owyhee is cross country scrambling but in the Wilson Creek Area the trail system is second to none. Horse trails, bike trails and hiking trails for all levels of adventurer. 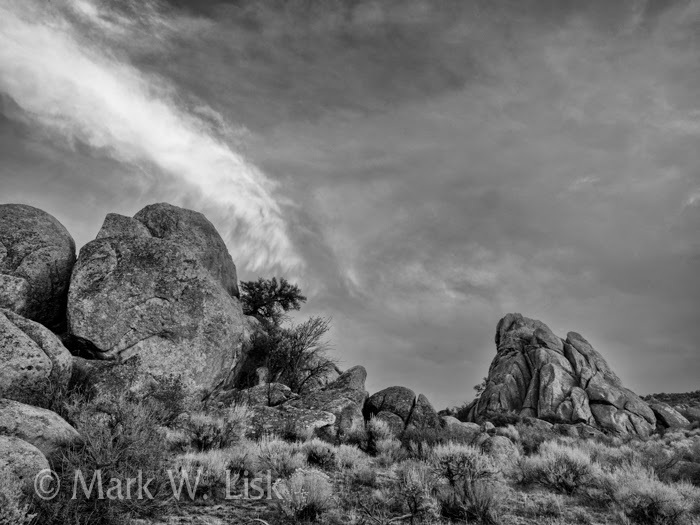 Dust from our vehicle obscures the outlines of dark basalt cliffs, rising above then falling from site along the flat desert road from Highway 95 to Three Forks. Faint contours of the basalt cap to the west marks the edge of the deep chasm of the River Canyon. 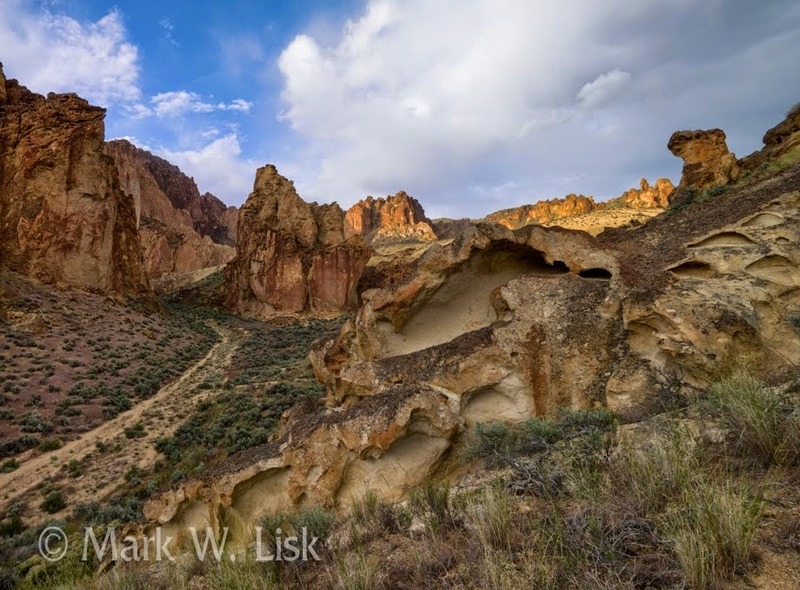 The powdery dust settles as we approach the lip of the canyon dropping sharply into the Three Forks Basin, the three spectacular tributaries of the Owyhee River, the North, Middle, and Main forks giving relief to the arid desert. 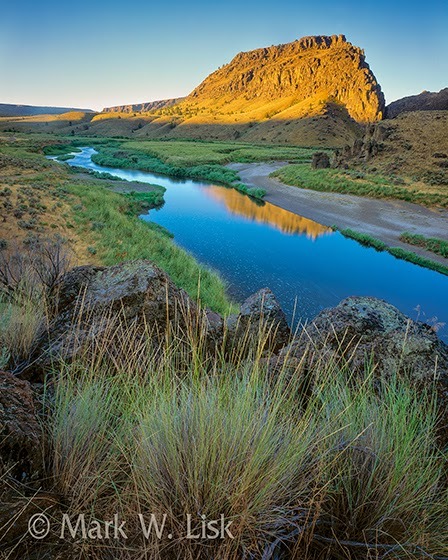 The Owyhee drains a remote area of the plateau region on the north edge of the Great Basin, rising in northeastern Nevada and flowing generally northward near the Oregon-Idaho border to the Snake River. 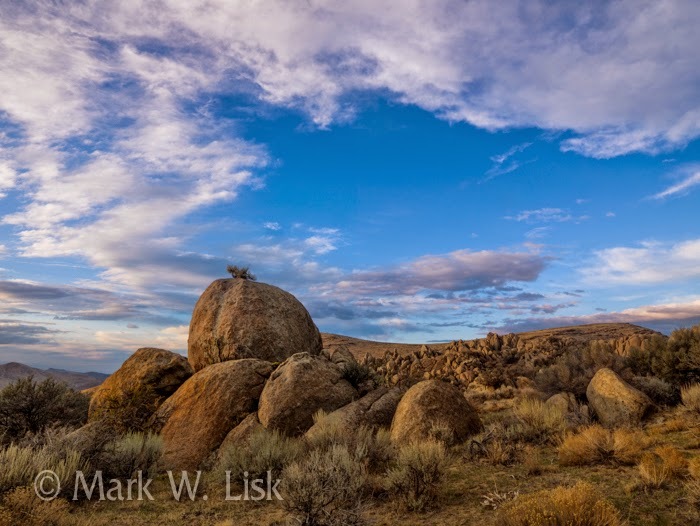 Three Forks is a dramatic base camp giving you many opportunities for self-guided hikes to Warm Springs Creek, along the North Fork Owyhee, and my favorite the West Fork of the Little Owyhee. The confluence of the WF Little Owyhee and the Main Fork Owyhee. Main Fork Owyhee near the WF Little Owyhee Confluence. From the rim of Three Fork a high clearance 4 w/d vehicle may be required. To access the trail head dropping into the West Fork of the Little it is a must. 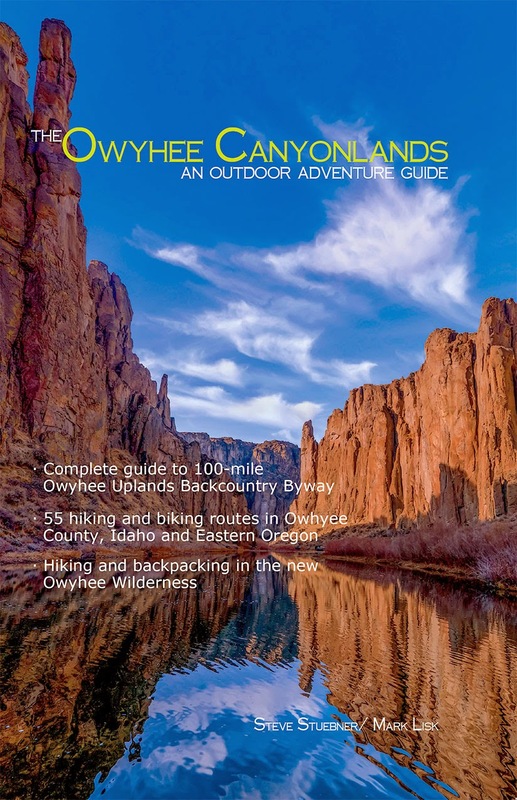 For more information see the guide book, "The Owyhee Canyonlands-An Outdoor Adventure Guide". This is hike #52. 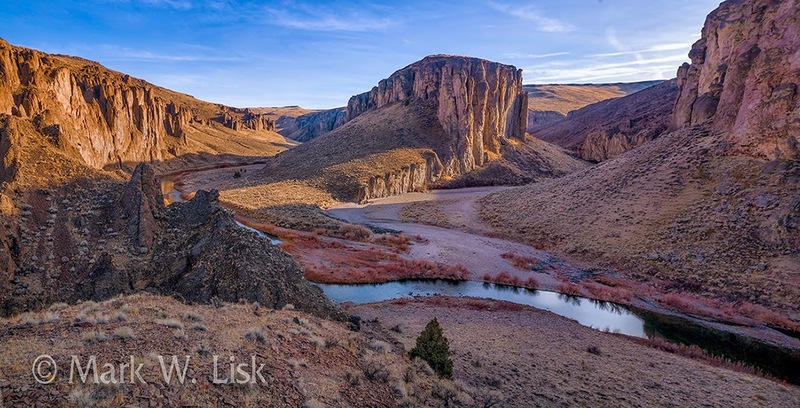 The canyon views from the confluence of the West Fork Little Owyhee and the Main Owyhee are unforgetable offering extraordinary views both up stream and down stream. This is a dramatic vantage point and should be considered for a camp location. View down river from the rim above the confluence of the WF Little Owyhee and the Main Owyhee. If you base camp at Three Forks, a consideration on the trip back might be a soak in the hot springs at Warm Springs Creek. 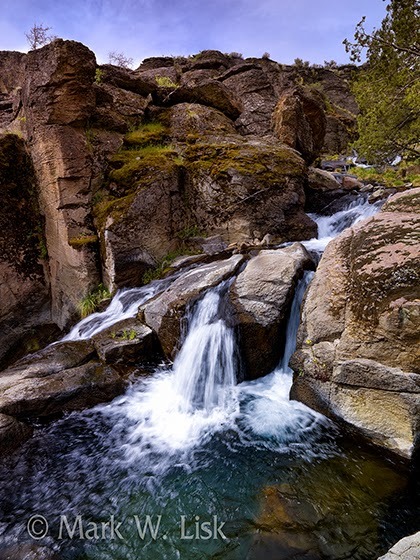 Warm Springs Creek, along the edge of the Main Owyhee, offers warm waterfalls and several pools of clean and clear chest deep water. It is not to be missed. 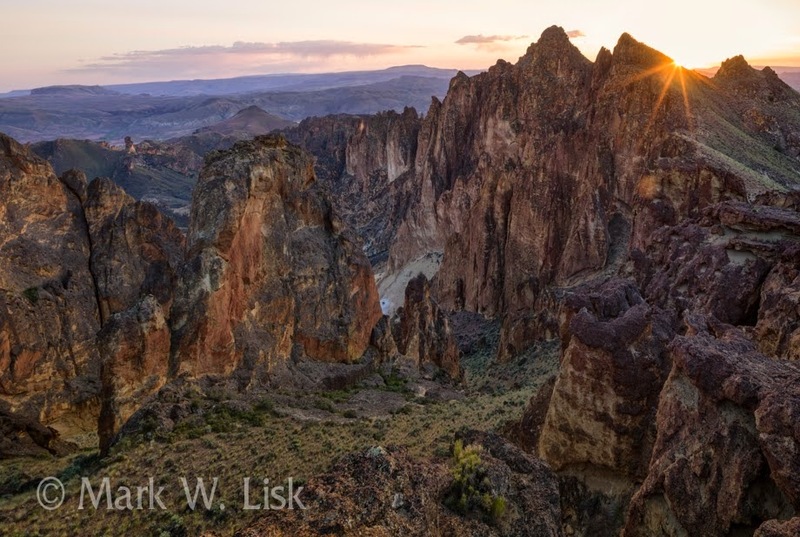 Its not to late to visit the trails into the Owyhee Canyonlands. In fact with the cool overnight temperatures and the highs being in the high 70's to low 80's, right now is the perfect time. 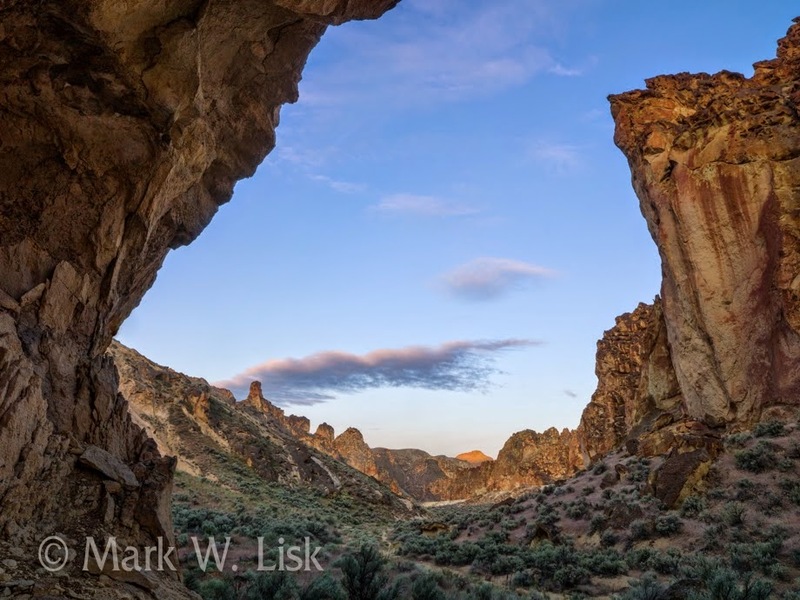 Last weekend I took advantage of the weather and dropped into the Honeycombs, a short canyon that drops into the Owyhee Reservoir from a rugged outcroppings of colorful ash formations. Normally this is an easy one day out and one day back round trip but with heavy camera equipment and having to carry water I opted to have freinds drop me off at the trail head and then pick me up by boat on the Reservoir at Bensley Flat two days latter. Two miles in from the trail head is a nice camp on Juniper Ridge with stunning views of the Owyhee Desert and the craggy Honeycomb canyon below. In mid canyon there are several overhangs that provide shade to hikers. This is a good spot to make camp to explore and photograph the canyons unique ash formations. View from mid-canyon up to Juniper Ridge. From mid canyon it is a short 1.5 mile walk to the Reservoir. There are many good options for camping with a ton of cottonwood trees for shade. I choose a different option and traveled out via boat. Low Water on Owyhee Reservoir at Bensley Flat. 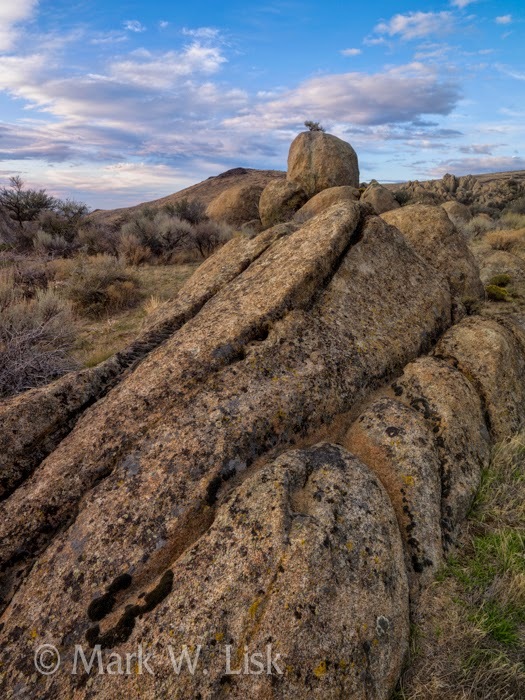 This hike: Juniper Ridge-Honeycombs (hike 27), from our latest guide, "The Owyhee Canyonlands, an outdoor adventure"
An ensemble of nineteen artists for an opening exhibit at our new Gallery in Boise. Gallery Five18 features a large exhibition space, an outdoor sculpture area, and a beer and wine bar. This is no ordinary gallery, owned by a single proprietor with contracts with individual artists. 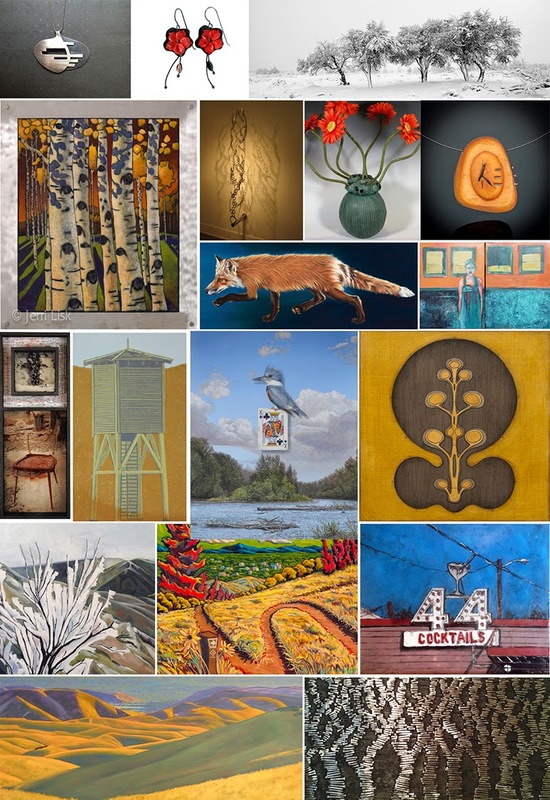 Gallery Five18 is a collaborative of several well know Idaho artists, including long time downtown gallery owners, painter Jerri Lisk and photographer Mark Lisk. "I stand amazed by nature, the influence of place, unable to see. 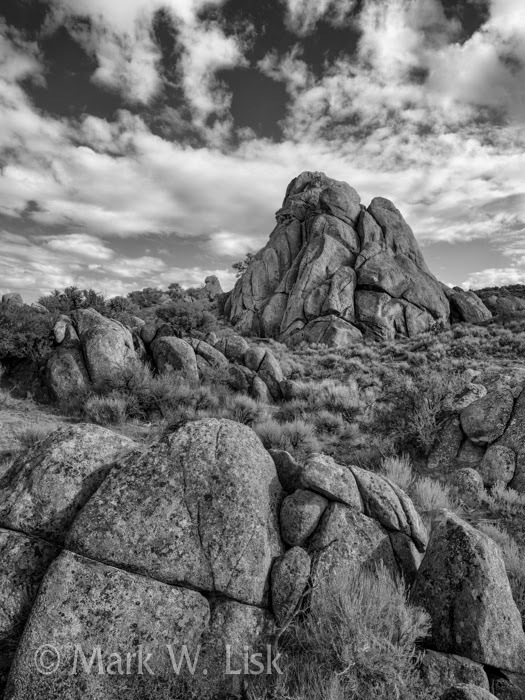 then the spirit gives way to the harmony of the landscape. Coming through the lens with passion and conviction."